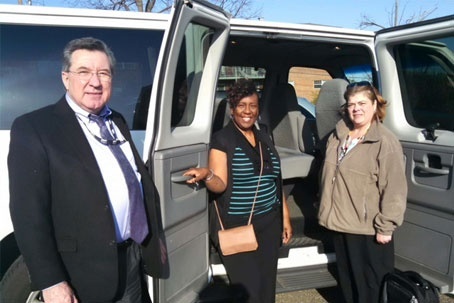 Vanpooling Manassas | Transportation Services | 234 Enterprises, Inc. Skip the stress of long-distance driving and parking-related issues and enjoy more me-time with the vanpooling services offered by 234 Enterprises, Inc. We are a trusted provider of comfortable transportation services in Manassas, VA. Reasonable commuting costs, comfortable seats, and a quicker route to work are just some of the convenience you’ll get with our services. 234 Enterprises, Inc. is owned and operated by Michael and Carolyn May. We provide dependable vanpooling services along the I-66 corridor from Manassas, VA to Washington, DC Metropolitan Area. Since we started, we have helped many commuters improve their commuting times and save money without the stress of driving in rush hour traffic. Commuting is a breeze with 234 Enterprises, Inc. With our vanpooling solutions, you can rest easy knowing you’ll get to your office safe and on time. Call or email us today for more information about our services, including our vanpool fares.